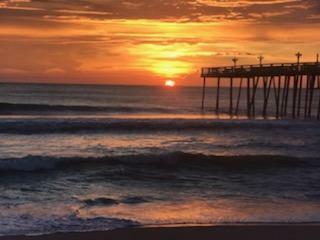 Greetings from the Outer Banks on this glorious Monday morning. Temperatures are in the 70’s today with overnight lows just getting into the 60’s. Yes, spring is definitely in full swing and we are loving it. 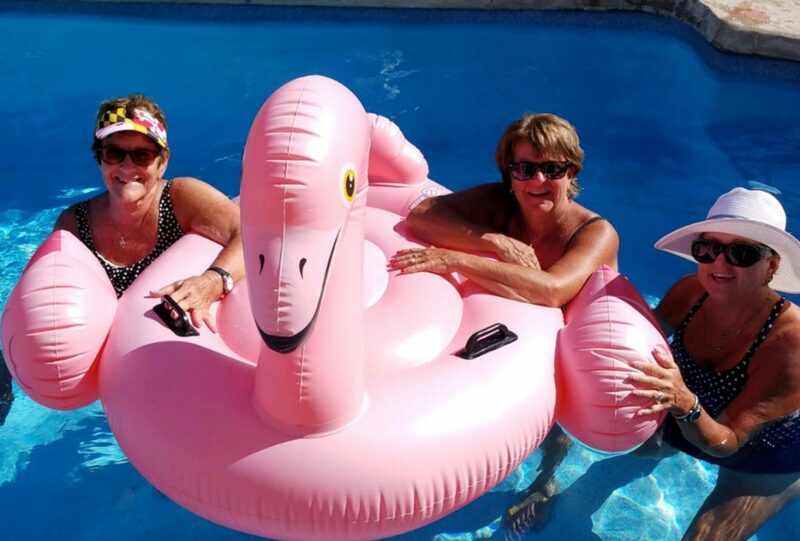 The weather makes us look forward to the start of pool season, and of course hanging out with our inflatable flamingo floats. Just for good measure Holly also sent us a picture of this early morning scene from the beach right behind Rum Runner. 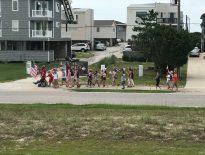 Located just north of the Kitty Hawk pier this is not an unusual scene for vacationers at this property. 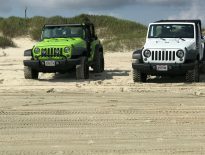 If you have not made your vacation plans for this year keep in mind that we still do have select openings on some premiere properties on the Outer Banks. Give one of our vacation rental planners a call today to find that just right rental property for you and your family. 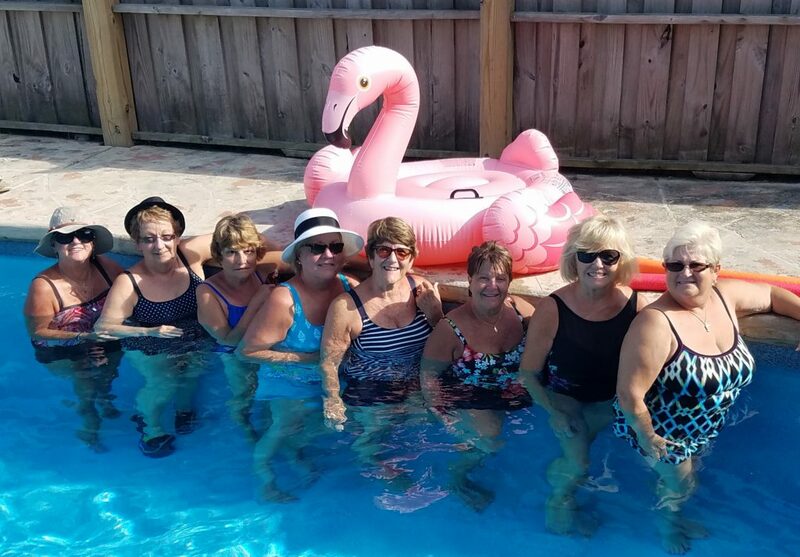 We thank Holly for her photo memory, and we look forward to serving her and all of the flamingo ladies again soon.